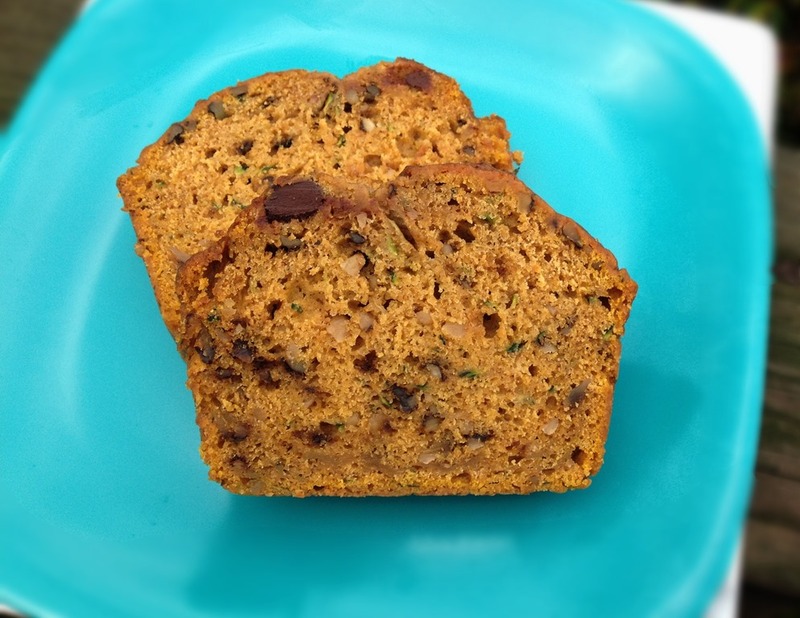 Pumpkin Zucchini Bread: where summer and autumn collide in a great tasting snack. This is a great way to use an over-abundance of zucchini from your garden (or local farmers’ market) and incorporate the great fall flavors of pumpkin and spices like cinnamon, nutmeg and cardamom. 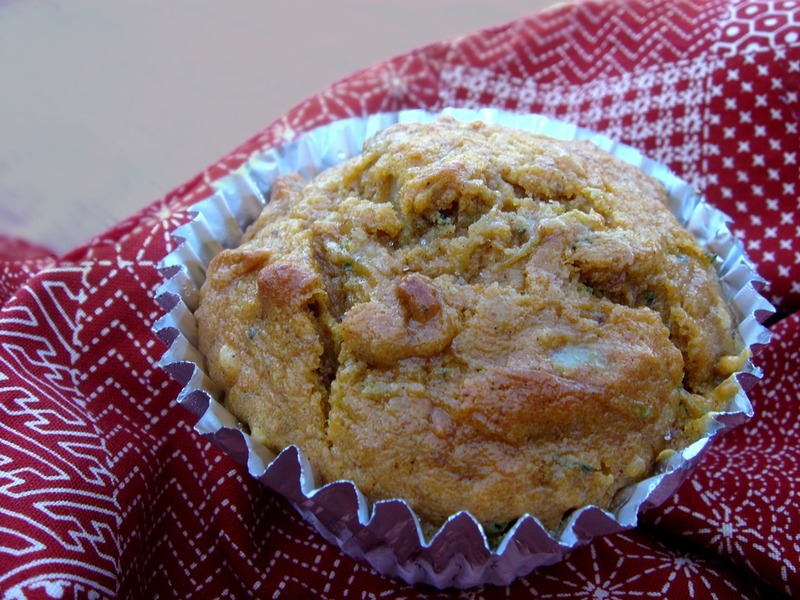 You can also make these in muffin form for a delicious on-the-go breakfast or lunch box treat. There is no easier way to get your kids to eat their veges. Chocolate chips are optional, but always appreciated (unless you are a certain son of mine). Preheat oven to 350°F. Grease and flour 2 medium loaf pans. Combine eggs and sugar in a mixing bowl. Add pumpkin, zucchini, melted butter and vanilla and mix well. In a separate bowl, combine dry ingredients. Gradually add to pumpkin mixture and stir until just incorporated. Stir in chocolate chips and nuts. Pour into 2 loaf pans. Bake at 350°F for 60 minutes, or until a toothpick comes out clean. Cool in pans for 10 minutes. Remove and cool on a wire rack. FOR MUFFINS: Line muffin pans with paper liners (or grease pan). Bake at 375°F for 15-18 minutes.